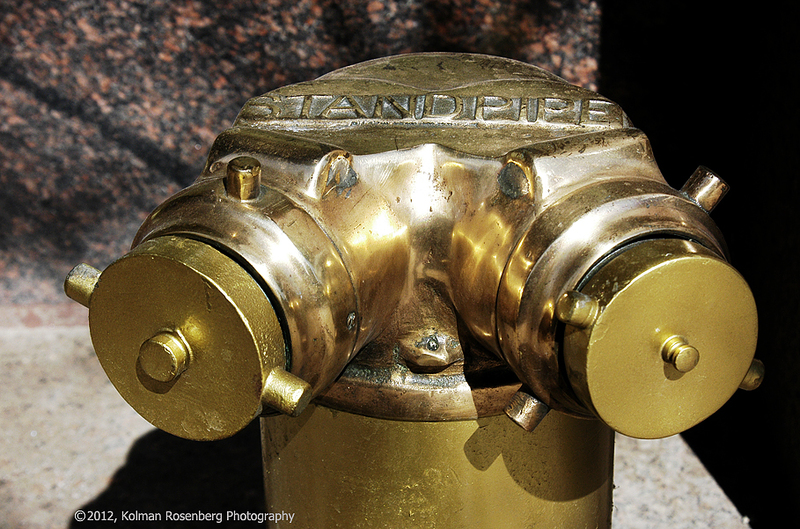 I have been planning for some time now to do a blog posting incorporating photos of standpipes that I have captured in different cities and locations. 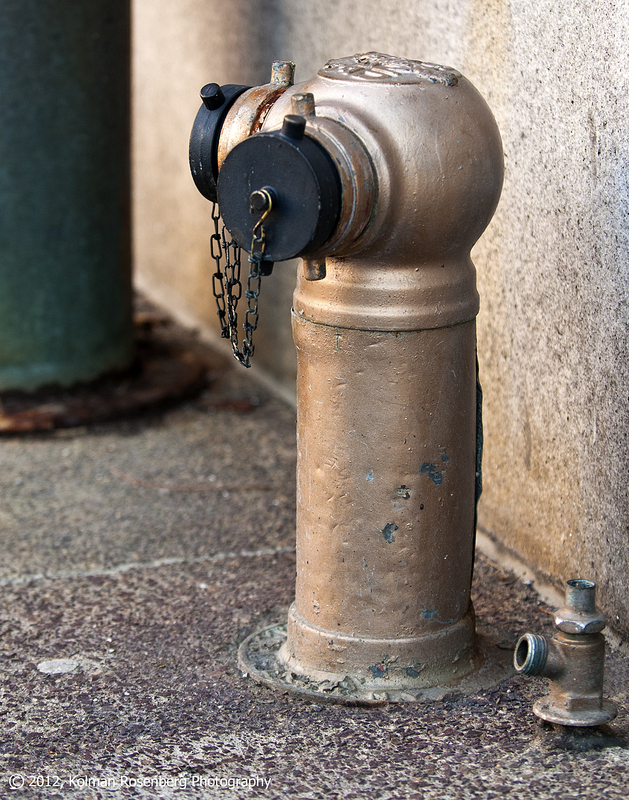 Today another blogger that I follow, Nick Mayo, posted a standpipe photo http://nickexposed.com/2012/05/03/which-to-turn/ on his blog “Nick Exposed”. That prompted me to go ahead and post my photos today also. 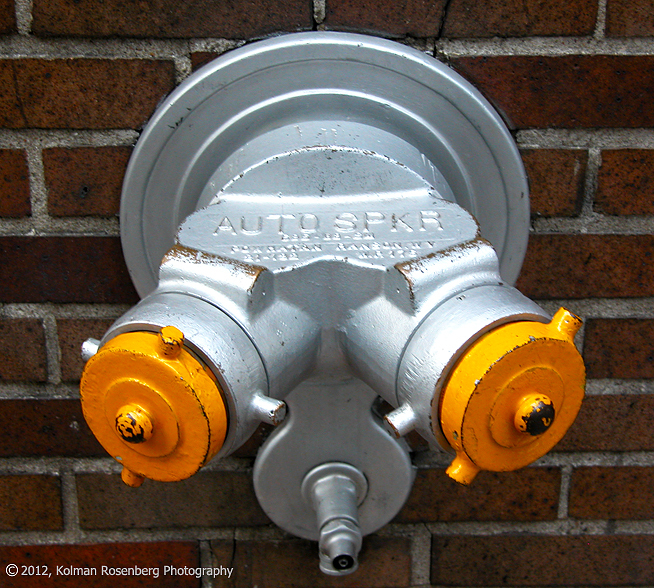 I believe many photographers see things that others do not. In particular, commonplace things that most take for granted. 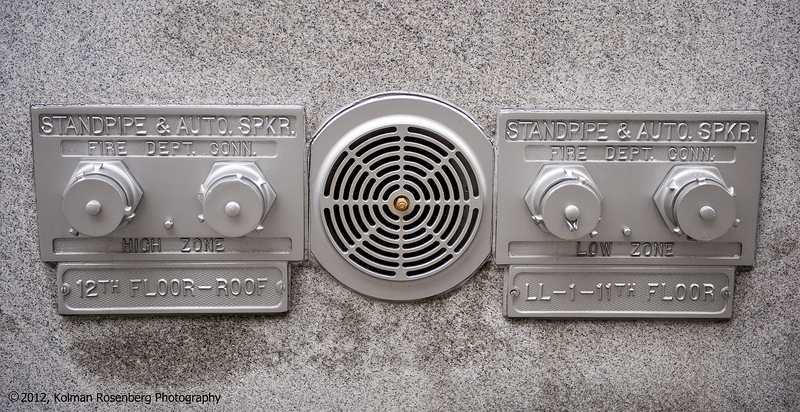 Back in 2003, in NYC, I started noticing standpipes and decided to photograph them wherever I saw them with the intent to incorporate them in a poster of some sort. These photos come from my observations over these past 9 years. I am posting them in order from very elaborate to very ordinary. 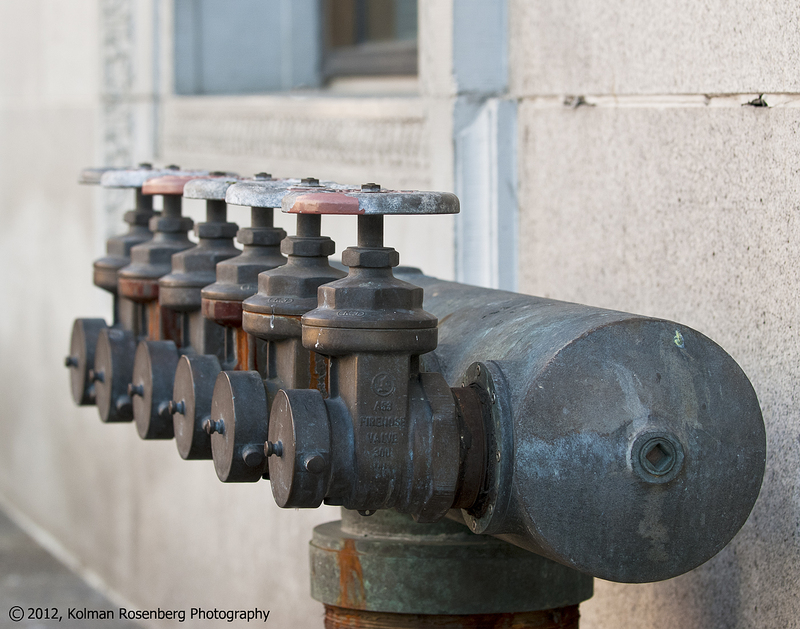 So, there we have it, a collection of standpipes from elaborate to quite simple, all serving the same purpose, to fight fires. A very important function that we take for granted. 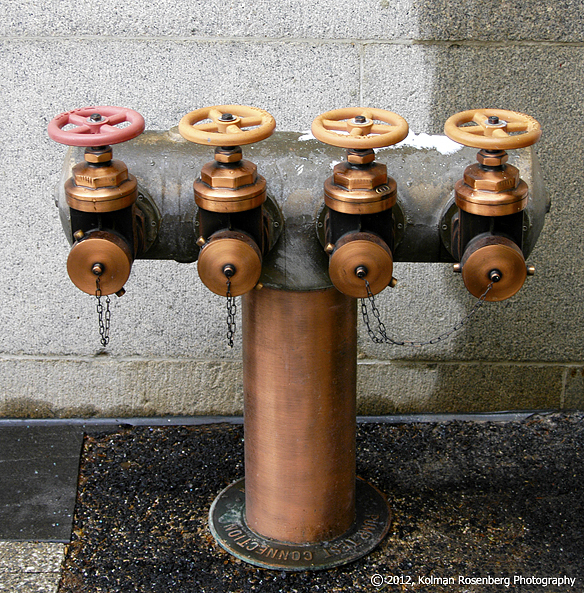 I’ll continue to look for and photograph standpipes. They can be quite interesting looking yet most of us don’t even notice them. What interesting things are you overlooking everyday? 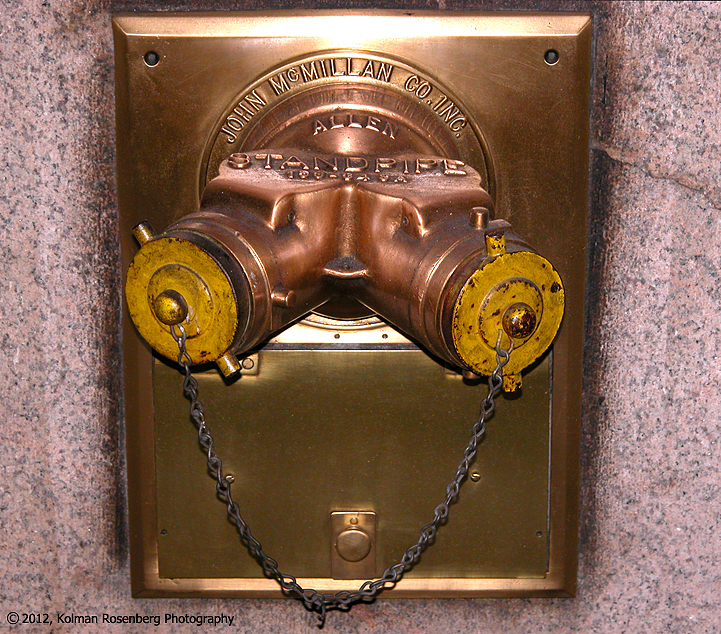 This entry was posted in Uncategorized and tagged brass, bronze, buildings, common, elaborate, fighting, fire, hydrant, skyscrapers, standpipe, water. Bookmark the permalink. Thanks Nick, and thanks for spurring me on!